END. and Saucony cook up a tasty new collab. UK sneaker retailer END. 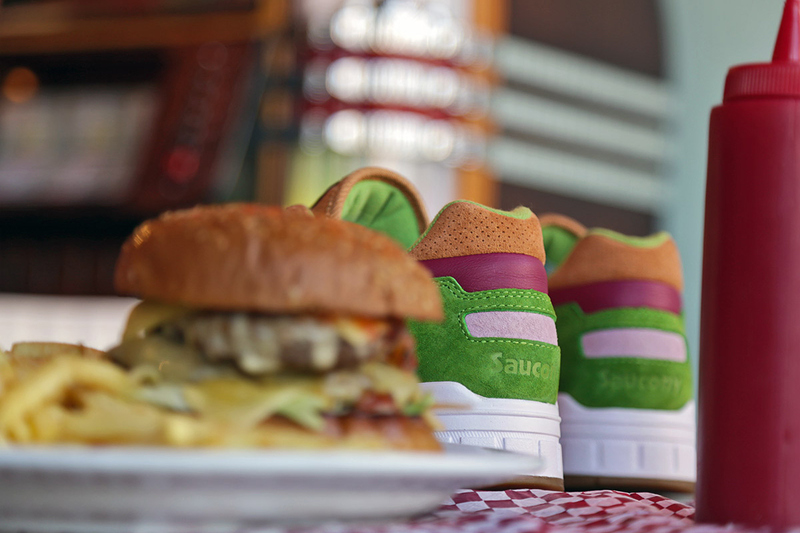 cooks up a tasty new collab with Saucony for the "Burger" Shadow 5000. 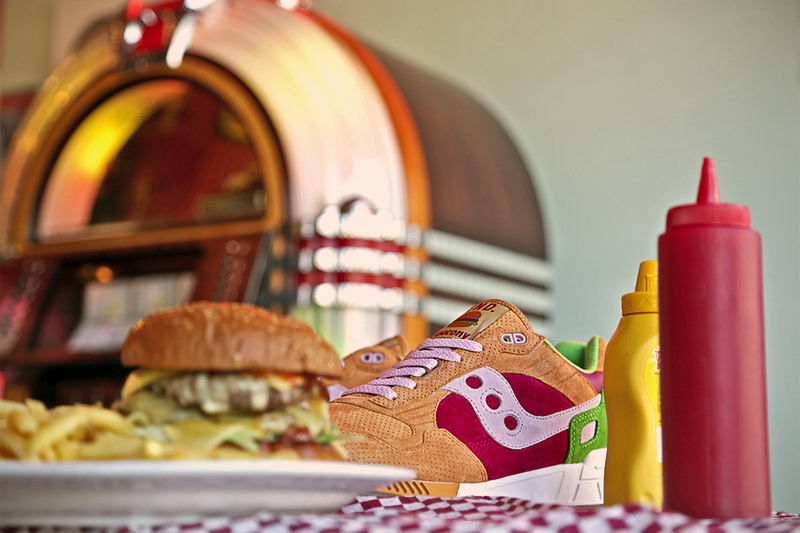 The gourmet hamburger inspired take on the classic Saucony silhouette features a premium suede, nubuck and leather upper in colors takes from a hamburger in its bun with all the fixin's. The shoe will also come in a custom box inspired by traditional burger packaging and just a like a real burger, customizable with three different lace color "condiments". Available in limited quantities, the Burger Shadow 5000 will release exclusively at a launch party at 6pm on Thursday May 1st at End Hunting Co. followed by an online release on Saturday May 3rd.